Deflating the mattress is something that shouldn’t be taken lightly. There are several different ways that the process can happen and there are many different ways that you can do it. Knowing how to deflate an air mattress properly will help you make sure that the mattress is stored in a way that it will not get damaged. 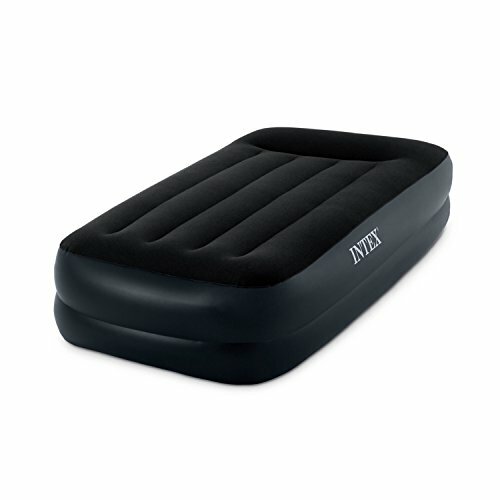 Just as there are many ways to inflate an air mattress, there are many different ways to deflate the air mattress. The way that you deflate it will likely depend on how you inflated the mattress as well. 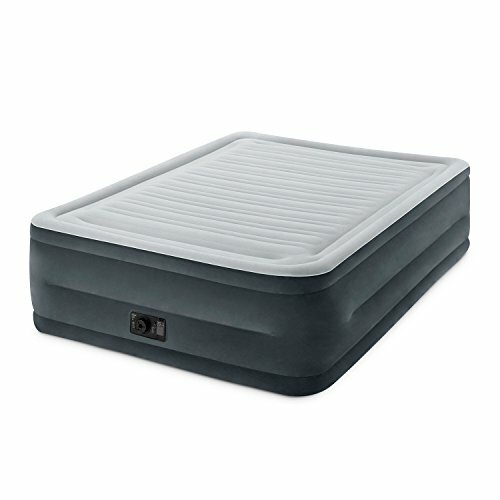 There is an internal pump, external pumps that are electric or mechanical, and just the port to the mattress. If you used your own lungs to inflate the air mattress, then you’re going to need to just deflate the mattress with your own body. This can mean that you will be squeezing the air of it by rolling it up and forcing the air out that way. You can also get rid of the air by laying on top of the mattress and then rolling it to get rid of the last of the air. You may follow this method for other air mattresses, even if they have an internal pump or used an external pump to inflate the mattress. It will depend on how much time you have or the way that the mattress is set up. Before you attempt to follow this method for air mattresses that use an internal pump, you will want to read the manual. Electric pumps will have an option for deflation on them. If you have a fancier built-in pump, then you should see that there is a way to flip a knob so that it is on a deflate setting. You will just need to turn on the pump then and let the pump do most of the work. You will still need to roll the mattress up to make sure that all of the air is out of it before you turn off the pump, but it will really make everything go much more quickly. An external electric pump will function very similarly to the built-in pump, but the external manual pump may take a little bit more work. Instead of simply flipping a switch, you will have to do the same kind of work that you did to inflate the air mattress in the first place. 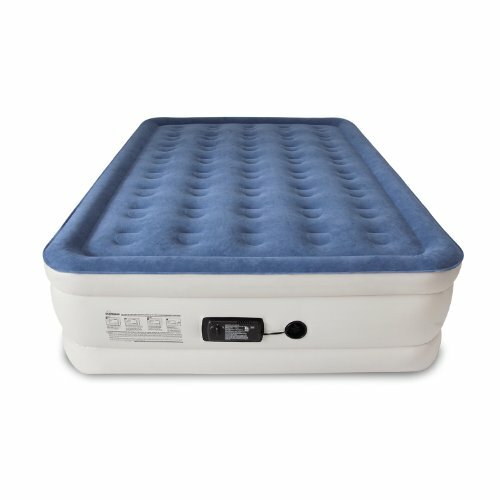 However, if your external pump is designed to also deflate, then it may have a different place for the tube to connect so that it can properly deflate the mattress. Regardless of how you inflate and deflate the mattress, you will want to ensure that all of the air is out of the air mattress before you get around to storing it. The easiest and most efficient way of doing this is by rolling up the air mattress. This doesn’t mean that you will store it in a rolled-up fashion, but rolling the mattress is a way of ensuring that all of the air is pressed out. You can think of this like rolling up a tube of toothpaste to get out the last little bit of toothpaste. When you use this method in conjunction with a pump, you will definitely make sure that there is no extra air in the mattress. This will make sure that your mattress will store in a way that will keep it from getting damaged. If there was an air bubble inside of the mattress, then it would be relatively easy for the bubble to be put under pressure. This can cause a rip or tear to happen in the fabric. This kind of damage will result in the mattress being less useful. Typically when you get an air mattress, the manual may have some directions on how to store it. Some are meant to be rolled up and folded into a bag. Others are meant to just be folded and slipped into a thin box. It will depend on the kind of mattress. Most that are intended to be taken camping will fold up relatively small. Many air mattresses come with a storage bag anyways, so you should be able to tell how you should store it. Again, you will probably find the instructions that are best for the air mattress in the manual that comes with the mattress. Regardless of what you do to store the mattress, you will want to make sure that there is no air left in the mattress. By properly deflating and storing the mattress, you will ensure that it lasts longer. This is paramount for air mattresses since they don’t last for extremely long periods of time. Air mattresses can be wonderfully convenient, but if you want them to stay nice for a long time, then you’re going to need to take care of them. One of the biggest steps in that direction is knowing how to deflate an air mattress properly. Once you know how to do that, then you’ll be able to really get the most out of the mattress.